Posted on August 18, 2017 at 12:30 pm. The Crown Resorts casino set for Barangaroo, Sydney, has already ruffled feathers, but the latest recommendations from the NSW government are likely to ruffle a few more. The New South Wales government has released its draft response to the ‘Casino Modernisation Review’ released in February, suggesting a level playing field for Crown Barangaroo and the Star Sydney. “The Casino Modernisation Review, undertaken by The Agenda Group, follows a 2013 commitment to update casino regulation for this new competitive environment,” Gaming Minister, Paul Toole, said in a media release. But instead of tightening controls, the government has agreed with several recommendations in the review which will loosen regulations. “The Government supports the principles recommended by the review: lessening the regulatory burden for insignificant, low-risk administrative matters and a greater focus on activities that present actual risk,” Minister Toole said. The review contains 194 recommendations, including abolishing the requirement of a licence review every five years. “Consideration will then be given to the potential abolition of the review provision, an extension of the five-year time frame, or other amendments to its operation, as appropriate,” the response reads. The government also agreed to scrap the requisite of a casino inspector at all machines and tables. 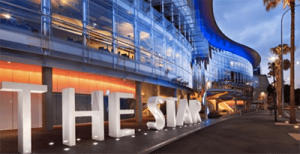 Additionally, the NSW government supports the recommendation that the Star casino can extend lines of credit to international VIP players since Crown Sydney will be able to. But the government did object to some recommendations which according to Minister Toole include “changes to enhance competitiveness of Sydney’s casinos in the international market for high-value players”. The review suggests transferring the power over smoking exemptions from the Health Minister to the Gaming Minister and exempting the Star’s Sovereign room from the ban since the Barangaroo casino will be immune. But the government said the “private gaming area” is already exempt and that the Star chose to enforce its own ban on smoking. The government also rejected the recommendation that a person who is banned from Kings Cross and CBD venues should also be banned from the two casinos. The government explained that the casinos have their own exclusion systems in place. “The recommendations from the review would significantly update NSW’s model of casino regulation,” Minister O’Toole said. “The review recommends targeted intervention with tough penalties for serious compliance breaches. Looking for an online casino to play at? Other than land based casinos like Crown Sydney and The Star, there are many online casinos available to players from United States. We highly recommend Bovada Casino as the safest and best online casino providing support for players from United States, with a large selection of online casino games available to choose from.